With the Olympic Games taking place last summer in London, it was thought that rents would increase. Unfortunately, due to several factors, including the abysmal weather which drowned the country, there was no particularly noticeable growth in rental trends across London. This trend has continued into 2013, with a slight decrease of 0.1% in the monthly market figures compared to December 2012. Predictions for the rental property market in 2013 believe that it will not be until later in the year that any considerable growth can be seen. It is, however, thought that the early months of the year will see, finally, the very bottom of the market. According to Anthony Duggan, the head of real estate research and partner in Deloitte Real Estate, this seemingly negative event could be construed as good; 'heroic' even. From here on, investment and market prices should only increase. Future months will see recovered demand as well as an increase of prices of 4.4% per square foot in London City and 5.3% in the West End, Jones Lang LaSalle, a global real estate services firm, predicts. However, it is thought that there will be only a slight uplift in rental growth as the year continues, with Nick Barnes, the head of research in Chesterton Humberts proclaiming that he is 'cautiously optimistic' about London market prospects in 2013. Long term, there has been growth in both technology and media sectors. 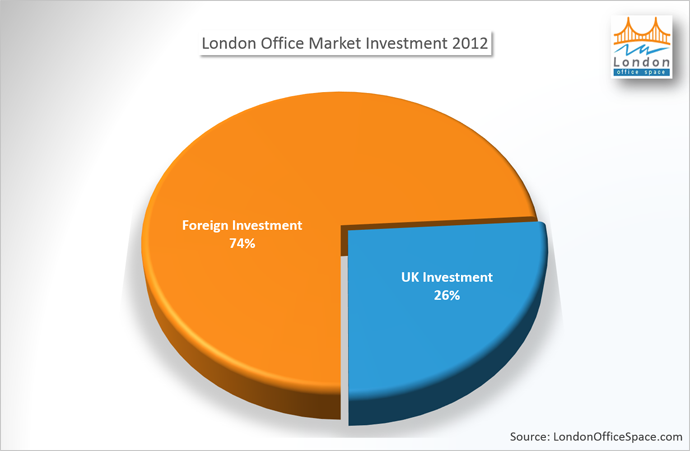 These sectors were found to encompass 30% of office rental in Central London last year. As the technology and media sector increases, it is predicted that there will also be an increased amount of tenants looking to rent office space in London. Pre-letting in London to companies such as Google, Amlin and Liberty Mutual has already been assured to raise the level of deals completed to the highest in five years. These deals are also expected to increase confidence in businesses and the economy, increasing the health of rental markets. In February 2013, the West End of London officially regained its name for being the most expensive office market in the world. This claim, previously held by Hong Kong's Central Business District, has led to a rise in rental prices as the scarcity of prime rental properties has increased competition. Despite this, London office rentals are predicted to have an annual rise of little more than 1% in 2013, with further increases in future years, says Knight Frank Research. Savills also expects growth of 1% for 2013, with renewed growth occurring in further years.